October 4, 2018 - Ottawa, Ontario - Beginning today, in Catholic dioceses/eparchies across Canada, Bishops will issue locally the updated and expanded national guidelines for the protection of minors in Canada. 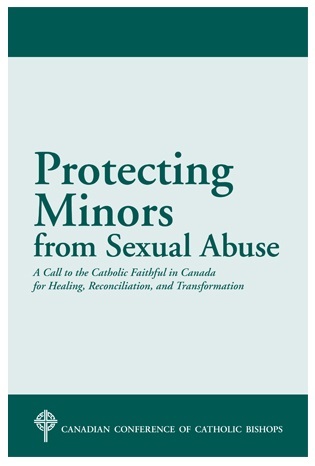 Entitled Protecting Minors from Sexual Abuse: A Call to the Catholic Faithful in Canada for Healing, Reconciliation, and Transformation, this document of the Canadian Conference of Catholic Bishops (CCCB) was unanimously adopted by the Bishops of Canada on September 27 during their 2018 annual Plenary Assembly. Since then, Bishops have taken time to familiarize themselves with its contents and to consider with their diocesan/eparchial staff how to ensure its implementation in their dioceses/eparchies as well as how best to inform and educate clergy, members of religious communities and lay personnel. The Archeparchy of Winnipeg plans to introduce the document at the November Clergy Conference. Subsequent presentations and studies will take place in the parishes throughout Manitoba.